Currently making the festival rounds, OPERA OF CRUELTY is a short film awash in dark, menacing style and striking visuals. Read on for details and to check out the trailer. Written and directed by Max R.A. Fedore, who also appears in the movie, and produced by Nora Unkel and Devin Shepherd, OPERA OF CRUELTY also stars Tony Bordonaro and Chelsea Lee Williams and meshes musical performance elements with horrific imagery. Last year, it won the Gold Medal in the Alternative Category at the Student Academy Awards. 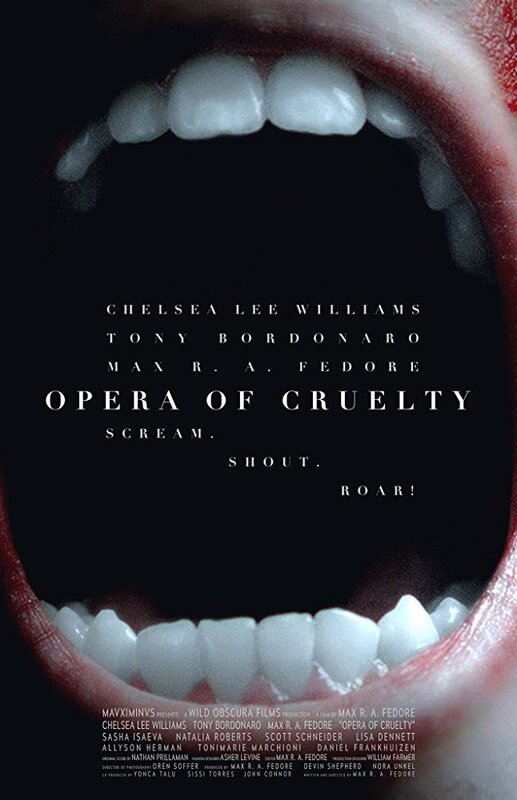 The synopsis: “A Young Victim is invited to an immersive operatic production led by the Famed Fiend, a collector and protector of talent, and finds himself infatuated with the Tempestuous Tigress, a young woman and the favorite performer, who wants nothing but to escape.” For more on OPERA OF CRUELTY, head over to Fedore’s website.